Little Flamingo – Wedding Invitations Sydney. 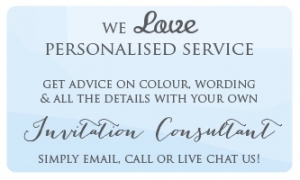 We are an online invitation studio specialising in unique and elegant wedding stationery and wedding invitations. Sydney, Australia is where we are based on the tranquil Northern Beaches. 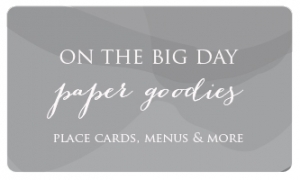 View our range of wedding invitations and on the day wedding stationery. Whether you are looking for rustic, vintage or formal wedding invitations our range is continually growing. Quantity discounts (up to 35% off) are available on most of our wedding invitations which is sure to help that wedding budget! 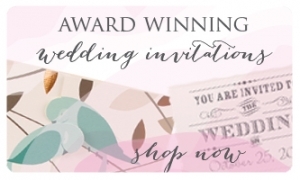 Just check the ‘pricing and discounts’ tab on your favourite invitation, but don’t worry you don’t need special discount coupons, our discounts are automatically applied at checkout! We also create custom or bespoke wedding invitations Sydney, so if you have something particular in mind for your wedding day just contact us and we can work with your inspirations to create your perfect wedding invites and wedding day stationery. From your invitation suite to place cards, menus and on-the-day stationery goodies, we are sure you will love our designs, quality and customer service. Thank you for visiting, and we look forward to creating your wedding stationery.